By Alexander Morley, DPhil in Neuroscience, University of Oxford, and Yo Yehudi, InterMine, University of Cambridge. 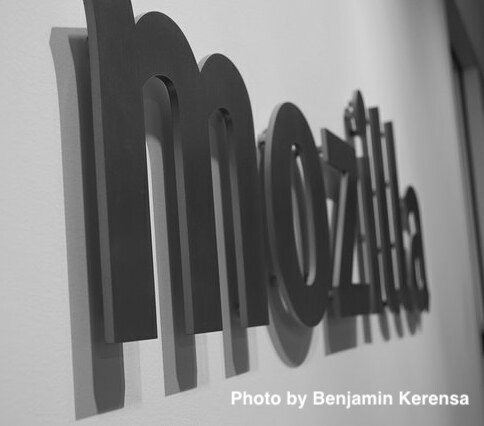 For the last five years, Mozilla has run a Global Sprint, a worldwide distributed event where people gather to work collaboratively on open projects. The sprint is fantastic opportunity for open activists to help others, with demo calls that allow people to share their own projects, glean new contributors and amplify awareness of the issues they’re trying to address. While you can participate from anywhere around the globe, there are also hosted sites where people can come together in person. 2018 fellows Alex Morley and Yo Yehudi both brought projects to this year's sprint, attending a physical site hosted in the Mozilla London offices on the 10th & 11th May 2018. Code of Conduct Builder, Alex’s project, is a project that aims to help people build effective codes of conduct for their organisations, communities and events. Contributors helped develop the user interface, found good examples of codes of conduct that work well, and helped to begin to rewrite the site in nodejs. If you’d like to contribute or find out more, you can visit the source. Yo brought Code is Science to work on at the sprint, a project that focuses on increasing the amount of code in science that is open source. Over the sprint, contributors helped to create a page to display journals that have an explicit open source policy, and helped to produce illustrative graphics that will be used in the launch of the Code is Science manifesto in June. If you consider software to be integral an integral science output, consider signing up to the manifesto once it goes live! The atmosphere at the Mozilla London Offices was incredible, and we participated in daily calls, one of which was hosted by Yo, with many of the other sites from across the globe. On these we found out about so many other amazing projects which you can find on Mozilla Pulse.